​It is week #43 of our Fugitive Friday initiative wherein the Halton Regional Police Service reaches out to the public to help locate wanted persons and hold them accountable for their actions. There are numerous people who continue to evade the police and the court system and instead live out in our communities while having a warrant for their arrest in place. Every Friday, Halton Regional Police Service's Offender Management Unit shares information on a wanted person in hopes that the public can assist in locating the individual. Fugitive Friday information is also posted on our website and disseminated via social media through Twitter and Facebook. In this edition of Fugitive Friday, 1 District's Milton Offender Management Unit is searching for Stephan LANGER, 30, of Harriston, ON. In May of 2016 LANGER was arrested after a traffic stop in Halton Hills for Possession of Stolen Property as his vehicle had a stolen validation sticker. As a result of the arrest, it was revealed that LANGER had stolen property within the vehicle. He was also found to be in possession of a weapon (brass knuckles) and a controlled substance. It was further determined that the Vehicle Identification Number on the vehicle was altered. LANGER was on a Probation Order at the time and subsequently violated this order by committing the above offences. LANGER has since failed to appear for his court date in this matter and his whereabouts are unknown. 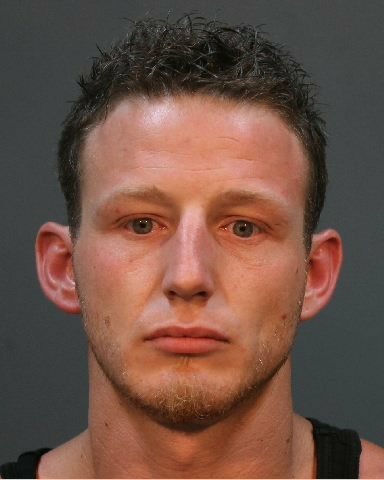 LANGER is described as 5'7", 162lbs with brown hair and hazel eyes. LANGER is known to frequent Milton, Halton Hills, Stratford, Harriston, and the surrounding areas. Anyone who may have witnessed this person or has information that would assist investigators in locating him are encouraged to contact D/C Mark Craig - Milton Criminal Investigations Bureau at 905-825-4747 ext. 2485 or Crime Stoppers at 1-800-222-8477 (TIPS), through the web at www.haltoncrimestoppers.com, or by texting "Tip201" with your message to 274637 (crimes).